I work for YOU! Helping make your real estate transaction a smooth and enjoyable one is what I do. Buying or selling a home can be one of the most significant events in your life. So let me ensure your move is as seamless as possible. Living, working and playing in Barrie for over 35 years, I provide a friendly and professional approach with honest advice, dedicated to results and motivated to succeed everyday. I will provide the highest quality service to assist you in all your real estate needs. So if you're looking to buy or sell, give me the opportunity to work for you. Make the right move! Call or email me today. Have You Called A Realtor for Your Purchase! Contact Me For Your Free Home Market Evaluation - NO Obligation! Are you curioius about the current market value of your home? Knowing your home's value might help you make the decision about whether or not to move, or give you some insight as to what additional upgrades you might like to make before listing your home. I will be happy to meet with you to provide a free market evaluation of your home. Evaluations are completely free, with no cost or obligation. Call, text or email me today to set up an appointment. I'd be happy to assist you. Have you been searching and searching for your dream home? Well stop looking and let me help you, that's what I do. Send me a message above and I'll sign you up to receive emails with listings that meet your criteria. You can even receive listings before they are posted for the public on other realtor sites like Realtor.ca! Let me help you. Make the right move! Do you know the REALTOR® difference? Click http://www.crea.ca/why to learn more about what a REALTOR® can do for you. Click on the link to read more from this article "Demystifying Common Home Insurance Misconceptions"
As the summer months draw near, many families will be taking their summer vacation. 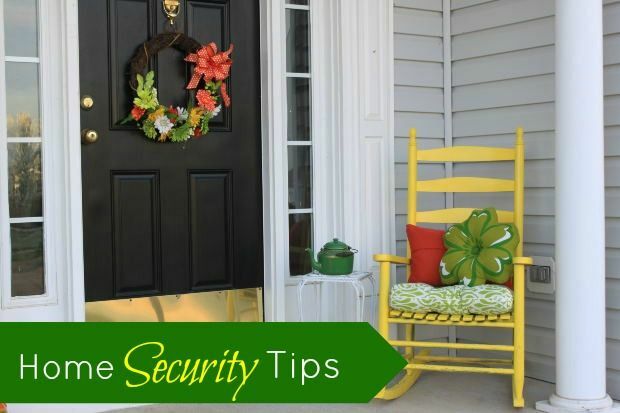 Be sure to secure your home so you can enjoy that time away without any interruptions. When the dog stays at home alone! At Click Your Mortgage you can now apply for your mortgage right here online. Click the link to visit clickyourmortgage.com to apply for you mortgage today! Do you qualify for a mortgage? Click here to see if you qualify. Do You Know The True Value of A REALTOR?? REALTORS® can guide you through every step of the process, explain the current market, help navigate complex paperwork and offer invaluable advice. When you're ready to make a move, get a REALTOR®. Click for Seller and Buyer Information and contact me any time if you have any questions. Want To Save 50% on Your Mortgage Insurance? Are you interested in protecting your future? See what Private Wealth Solution has to offer and talk to Jeff Hurd. Click to see how he can help. Get information for Barrie and area. Everything from Parks, Trails and Waterfront, Arts, Culture and Tourism, Garbage and Recycling, Recreation and Registration, Licenses, Permits and Applications and much, much more! Click Info Barrie for detailed information. Are you riding the a bus or a train to work? Click on the GoTransit Schedule for detailed information. Registering for an SCDSB School is as easy as a few simple steps. To find out which school your child will attend based on your home address, use the Home School Locator tool. Click SCDSB for more information including the 2014/2015 school year calender.